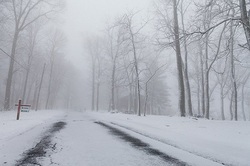 Catoctin Snowfall was inspired by a day of snow at Catoctin Mountain in Maryland. It begins peacefully and increases tempo to invoke images of snow blown by mountain winds. 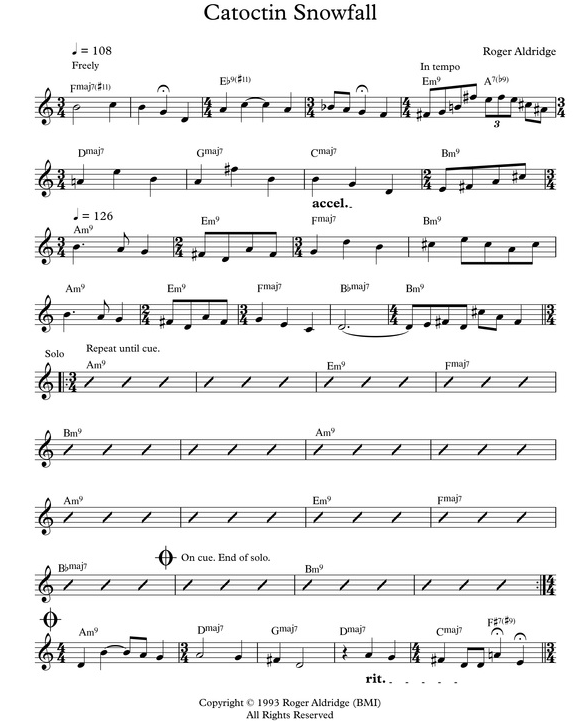 The second section, sounding unresolved, serves as a springboard for the soloist. After the solos, the piece returns to a peaceful mood with images of snow-covered woods. As with most of my music, Catoctin Snowfall can be performed in different ways. In addition to expressing a snow storm, it can have a joyful spirit of children (or one's inner child) enjoying the snow. Recorded by David Arivett, piano.